Winchester’s oldest home, built in 1754 by the Hollingsworth family. The home and the 18th century log cabin on the property tell the story of the early Valley settlers. 1340 South Pleasant Valley Rd. 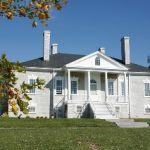 This antebellum plantation manor house, owned by the National Trust for Historic Preservation, was originally home to Major Isaac Hite and his wife Nelly, sister of President James Madison. 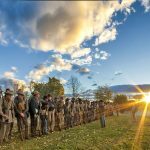 Cedar Creek and Belle Grove National Historical Park commemorates a nationally significant Civil War landscape and antebellum plantation by sharing the story of Shenandoah Valley history from early settlement through the Civil War and beyond. Cedar Creek Battlefield is the site of the last major battle between Union and Confederate forces in the Shenandoah Valley. 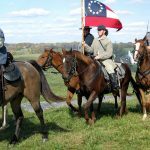 Each year, the Cedar Creek Battlefield Foundation hosts a reenactment of the battle on the 3rd weekend of October. 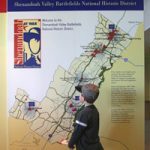 Located in the Winchester-Frederick County Visitors Center, this is a wonderful starting point for those seeking an overview of Winchester’s Civil War experience. 1400 S. Pleasant Valley Rd. 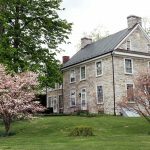 Part of the Museum of the Shenandoah Valley, the Glen Burnie House sits on land that Winchester founder James Wood surveyed, claimed, and then settled in 1735. 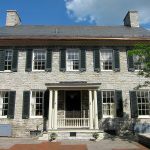 The oldest portions of the house were built by Wood’s son Robert in 1794 and 1797. 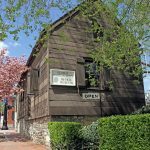 This circa 1785 restored historic home is available for tours by appointment and on the first Friday of each month, April-November. Trained docents explain the history of this home and its architectural details and artifacts. Kernstown Battlefield is the site of the First and Second Battles of Kernstown. 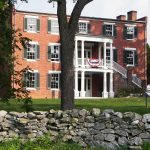 Tours of the battlefield and the Pritchard House on the property are offered seasonally. 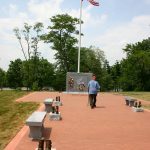 The Korean War Memorial remembers those brave individuals in our community and surrounding counties who served during the bitter conflict.